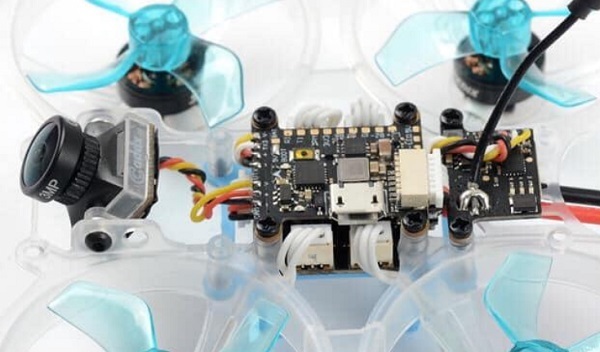 The Spedix Rex is an ultra compact and versatile Tiny Whoop alike micro brushless FPV drone. Equipped with brushless motors, it is suitable for both indoor and outdoor fun. 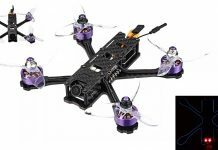 According to your existing remote controller, you can opt to purchase the Spedix Rex 80mm quadcopter with DSMX, FlySky FS-RX2A or FrSky XM radio receiver. 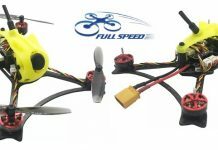 Instead of an AIO FPV camera, Spedix opted to use a more compact Caddx Turbo Eos2 camera paired with a 5.8G/40CH VTX. The video transmitter can be toggled between 25 and 100mW power. 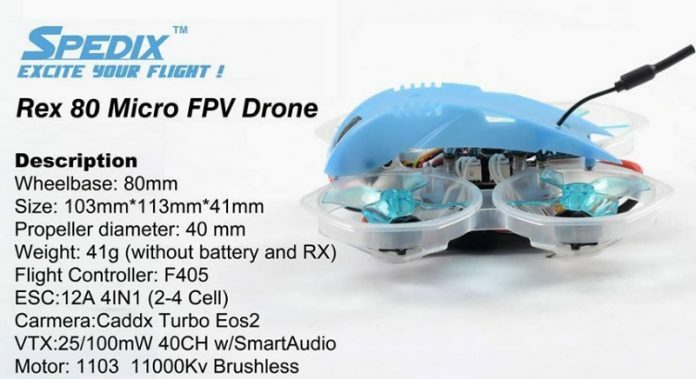 2S LIPO compatible (300mAh suggested capacity).